The graduate program in reproductive ph ysiology is focused on understanding the physiology underlying the many reproductive problems presented by modern dairy cattle and mitigating those problems through development of improved reproductive management strategies. Thus the graduate program spans basic as well as applied areas of reproduction, endocrine physiology, interactions between nutrition and reproduction, and development of hormonal synchronization protocols to improve reproductive performance. The reproduction group includes Drs. Wiltbank and Fricke who have independent laboratories but collaborate on a variety of research projects and work together to train graduate students. Dr. Wiltbank works in basic and applied areas focused on improving fertility in dairy cattle and understanding mechanisms underlying reproductive processes. Dr. Fricke works in more applied areas of reproduction to understand physiology and develop strategies for practical use to improve reproduction in dairy cattle. 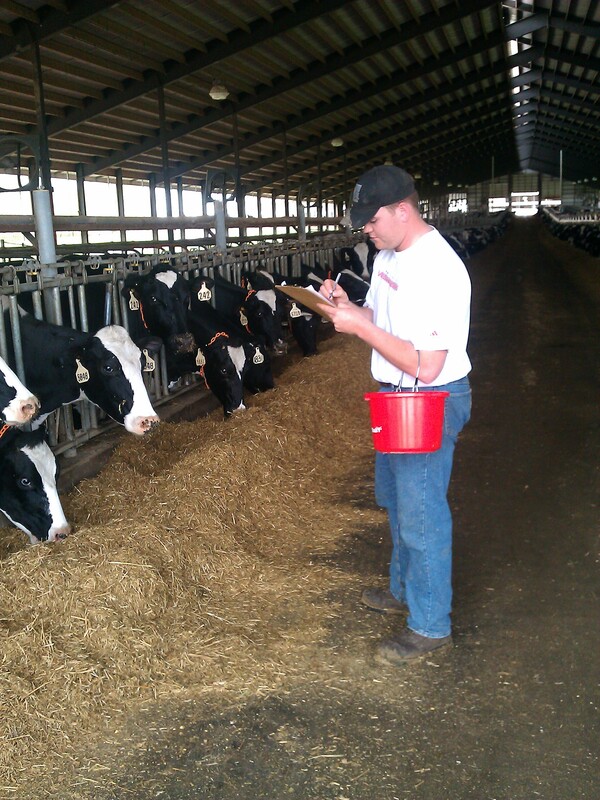 Graduate students in this program are able to earn their degree through Dairy Science or the Endocrinology-Reproductive Physiology (ERP) program. Students completing the MS program in reproductive physiology are qualified to compete for jobs in the dairy industry including AI organizations, nutrition companies, and as county extension agents. Students completing a Ph.D. in the area of reproductive physiology are qualified to pursue careers in research, teaching, or extension at academic institutions, government agencies, and private industry.